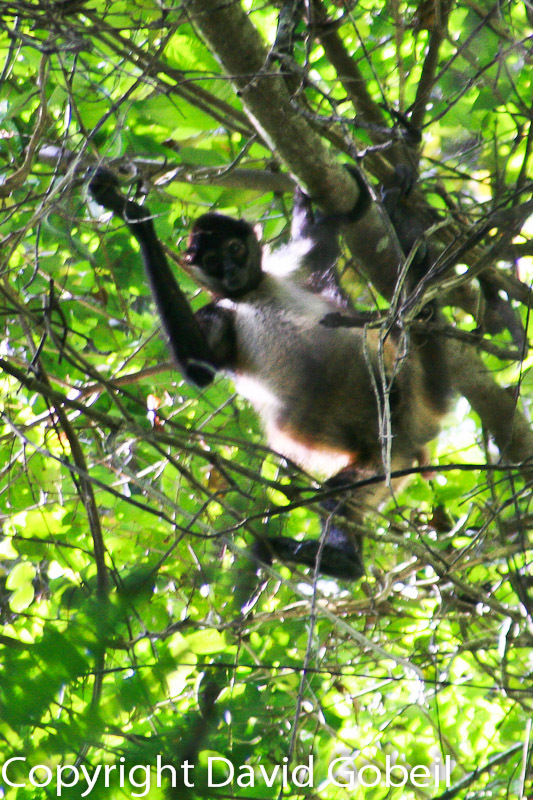 Wild Spider Monkey Checking Us Out Deep In the Rainforest, Mile 31, Hummingbird Hwy. Even visitors from the spectacularly beautiful nation of Australia, located on the opposite side of the world, are impressed and amazed by the hidden treasures they find in Belize. A writer from ‘Down Under” recently visited Belize on behalf of MSN’s Expedia Travel website, and had a positively glowing review of our tiny Central American country. “Boasting some of the most spectacular scenery in the regions, Belize offers Australian tourists a world of cultural exploration and beautiful landscapes just waiting to be explored”, says Aussie travel writer Janice Polkinghome. She remarks that the population of Belize is filled with as much diversity as the flora and fauna of the rugged landscape, and says Belize is an adventure traveler’s paradise. Mayan ruins, ancient caves, and even the “charming fishing village of Placencia” where she lounged on the beach were some of the highlights of her trip. I’ve traveled through New Zealand and Australia, and can personally attest to the heart-stopping natural beauty of these countries, so when I see someone who hails from there singing such high praises about Belize, I’m truly impressed! 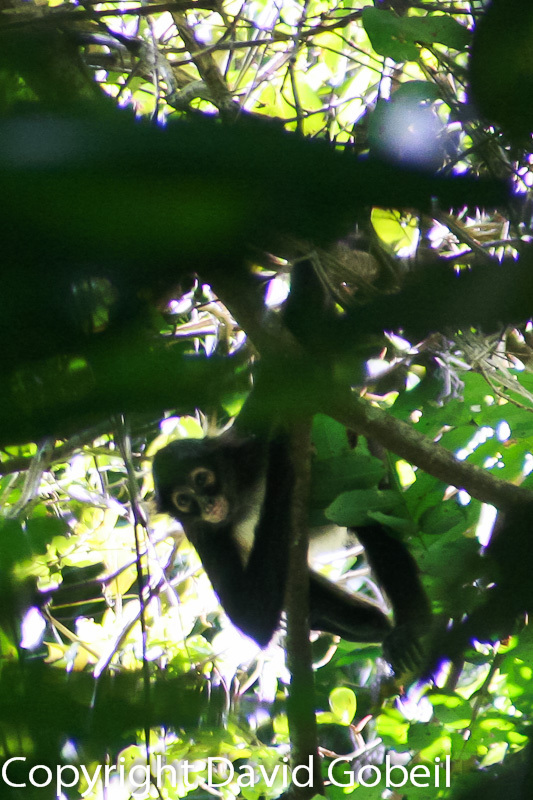 Wild Spider Monkey Observes Us Before Bombing Us With Feces! Nestled between Mexico and Guatemala, Belize is one of Latin America’s best-kept secrets. Boasting some of the most spectacular scenery in the region, Belize offers Australian tourists a world of cultural exploration and beautiful landscapes just waiting to be explored. Aussies seeking a memorable holiday should head to this stunning country to see another side of Latin America. Like many other Latin American countries, Belize was once inhabited by the Mayan civilization. Ruins of the once-great temples unique to this ancient culture can still be found throughout Belize today, and the country’s cultural heritage reflects these roots. The population of Belize is almost as diverse as the landscape, and while English is the country’s official language, many regional dialects are also spoken. Some of these native tongues date back many hundreds of years. Belize is a paradise for adventurous explorers. From the verdant rainforests that cover much of the country to the rugged mountains that tower over the rolling hills, the landscape of this beautiful country is the perfect backdrop for an adventure travel excursion. Australian travellers heading to Belize should be sure to check out the many Mayan ruins scattered across the country. One of the best places to do this is San Ignacio, located in western Belize. This area boasts numerous sites of cultural and historical significance, including the caves of Actun Chapat. This sprawling subterranean cave system was once inhabited by man more than 4,000 years ago, and in addition to the human bones that can be found scattered throughout the caves, examples of ancient pottery can also be seen. Another archaeological site featuring evidence of the Mayan civilization is Actun Tunichil Muknal. As well as the skeletons, stoneware and pottery that can be found at many Mayan ruins in Belize, these caves are also the place where the remains of the “crystal maiden” were discovered. The crystal maiden is the remarkably well-preserved skeleton of a young girl, whom some archaeologists believe was sacrificed in a ritual and whose bones have been completely crystallized by the conditions inside the caves, lending them a sparkling appearance. No trip to this region of Belize would be complete without a tour of the ruins at Cahal Pech and Carocol. Featuring some of the best examples of Mayan temples in Latin America, these sites have fascinated archaeologists for more than 50 years. Here, Australian tourists can marvel at the architectural ingenuity of the Mayan civilization, wander through ruined temples surrounded by lush jungle, and learn more about the fascinating culture of the Mesoamerican tribes.